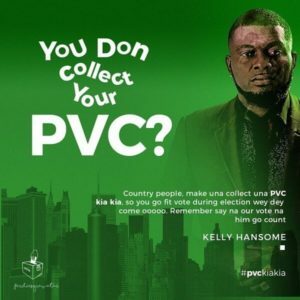 As the election period approaches, Nigerian R&B sensation, Kelly hansome has got a message for everyone in his new song titled “VOTE”. It’s been long time coming for Kelly Hansome on the song which has been pre-released but nevertheless still finds its way back. The song never goes out of fashion and you would definitely agree with me that we need songs like this to addresss pending issues in political times like this. Listen and put on repeat.